If you’re into jazz, you know that it’s capable of reshaping any kind of music to its improvisational ends — and that includes holiday music. Even the hoariest chestnut can take on a whole new life as a jazz musician takes its melody for a ride. But if you’re not into jazz — or think you’re not — well, that can be even more interesting, as a tune you’ve heard countless times reveals itself in brand new ways, becoming sort of a sonic present. One that’s not under a tree, but in your ears. Scores of albums have been released featuring various artists playing holiday-themed tunes. 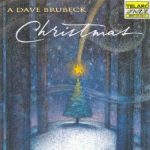 But the following list focuses on top jazz artists who have devoted whole albums to the songs we think of when we think of the holiday season. 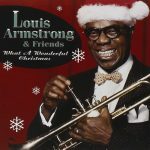 Singer-trumpeter Louis Armstrong gets into the holiday spirit with a collection that includes “White Christmas” and “Zat You, Santa Claus?” along with tracks by artists including Duke Ellington, Lena Horne and Peggy Lee. The late pianist Geri Allen lends her touch to perennials such as “Angels We Have Heard on High,” “We Three Kings” and “Little Drummer Boy” on this album of mostly solo recordings. The title track was composed by jazz trumpeter Thad Jones. Remember the big band that the African-American sheriff discovers playing in the middle of nowhere in “Blazing Saddles”? This is that orchestra, founded by the great KC bandleader Count Basie. Put this on and watch your Christmas party explode. The iconic hipster and jazz trumpeter may be the last musician you’d expect to record a Christmas album, but this quintet recording featuring alto saxophonist Christopher Mason and tunes including “Amazing Grace” and “The First Noel” definitely has its admirers. A terrific singer who deserves a wider audience, Holly Cole offers her take on the holiday album with such favorites as “The Christmas Song,” “I’ll Be Home For Christmas” and the title track along with lesser-known songs. With his warm blanket of a voice, national treasure Tony Bennett is perfect for this program of songs including “Santa Claus Is Comin’ to Town,” “I’ll Be Home For Christmas” and the title track. “What a Night! 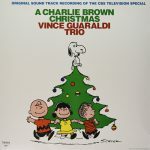 A Christmas Album,” Harry Connick Jr.
Jazz pianist Vince Guaraldi broke through to a mass audience with his music for the “Peanuts” TV specials, and this soundtrack featuring original compositions alongside tunes such as “The Christmas Song” is virtually guaranteed to please. 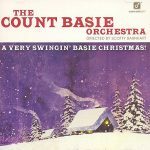 The group that scored a crossover hit with “The In Crowd” lends its chops to an album that starts with “Merry Christmas Baby” and continues to prove that just because it’s Christmas music doesn’t mean it can’t pursue a groove. Arguably the world’s most famous living jazz artist, trumpeter Wynton Marsalis brings his swinging approach to such tunes as “Silent Night” and “Hark! The Herald Angels Sing,” with vocal assists from Kathleen Battle and Jon Hendricks. 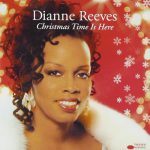 Often favorably compared to the great Sarah Vaughan, Dianne Reeves has a beautiful voice that’s well suited to this program that includes “Carol of the Bells,” “The Christmas Song” and the title track. This album by the first-rate jazz combo may be hard to track down, but it’s worth the effort — you’ve never heard renditions of “Deck the Halls,” “God Rest Ye Merry Gentlemen” and “Have Yourself a Merry Little Christmas” quite like these.